Playing Disney kids' games gives your children a way to interact with some familiar characters while also having fun and learning. From online Disney games for kids to classic card and board games with a twist, there are plenty of options to choose from for Disney fans of any age. When it comes to online games for kids, Disney is one of the best choices. There are tons of fun options kids can play on a computer, tablet or other mobile device. The main Disney website with online games, currently known as LOL Disney, features a wide variety of games featuring some of their most popular shows, like Gravity Falls and The Descendants. Choose from fashion games, arcade games, brain games and much more. Younger kids will enjoy playing online games on the Disney Junior portion of the website, which has online sticker books and lots of fun games with characters from Doc McStuffins, Handy Manny, Octonauts and others. Disney also offers a number of apps kids can play online on tablets or other devices, including jigsaw puzzles, race games, battles, cooking games and karaoke. GamesLoon.com - Find five different Kim Possible Games, such as A Stitch in Time and Buenes Rufus. GamesBox.com - Play alien games, do experiments, or play Sandwich Stacker with Lilo and Stitch. If you have a Google Home device (about $89) you can choose from eight different interactive Disney-themed games to play. These include Toy story Freeze Dance, Maui's Music Game (inspired by the film Moana), Mickey Mouse Space and Sea or Magic Show or Star War's Trivia Challenge. Adventure Games on Google Home include Cars Adventure and Belle's Castle Adventure. 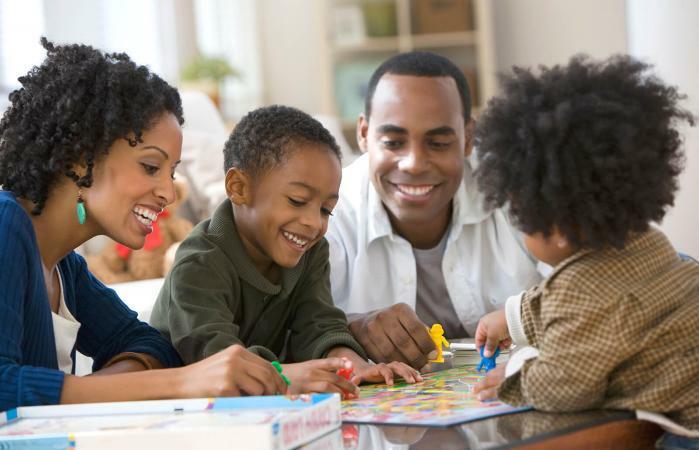 The whole family can get involved in the fun with Disney board games. Classic games designed with a Disney twist are popular, as well as original Disney games for kids of all ages. Many of these can teach valuable skills, such as problems solving, as well as being fun. 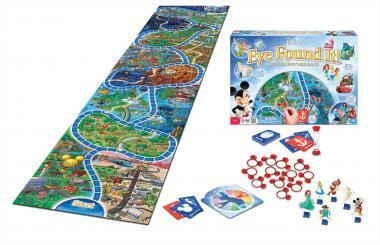 New York Magazine recommends Disney's Eye Found It board game (just under $20) for families because it offers numerous choices that and extra detail that extends its playing life. It's designed for ages four and up and features a jumbo game board with a focus on finding hidden objects. Play with two to six players. Named as one of the top 10 best Disney board games by the BoardGames4Kids.com blog, the Trivial Pursuit - Ultimate Disney Edition game (about $75) can be played by the whole family to test your Disney trivia knowledge. It's recommended to ages eight and up for four more players. A picture and trivia-based game that's great for kids seven and up, Disney Pictopia (under $25) gets an average of 4.3 out of 5 stars from over 300 reviewers. Users like that it is appealing to a variety of ages and has a well thought out design and gameplay. You can also add more content to the Disney quiz game by using the Pictopia app. 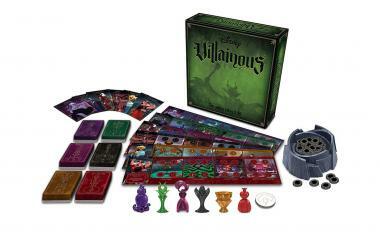 Taking a new twist on best-loved games, Disney Villainous (about $40) is a family-friendly board game features well-known Disney Villains like Ursala, Captain Hook, Maleficent and others. Best for ages ten and up and made for two to six players, this game focuses on villains taking a journey and triumphing over heroes. Nerdist says it has something to appeal to everyone in the family. Card games featuring favorite Disney characters or themes are available for fun and learning. Named as top Disney game pick by the Born Cute blog, the Disney Frozen Spot It! Game (about $10) can be played by kids as young as three, and is versatile enough for two to eight players. The object is to discover and collect the most matches. Match games can help kids improve cognitive skills, and nothing makes it better than favorite characters. Disney Classic Match (about $10) - Kids ages three and over will enjoy creating as many matches as they can to win with cards that have classic characters like Mickey, Flounder and Tinkerbell. Disney Princess Match - Fans of Cinderella, Jasmine, Belle, Ariel, Mulan and other princesses can test their skills with this game (about $6). Everyone loves Uno, and this game is great for everyone from about age seven to adult. Be the first to get rid of all your cards in this Disney-inspired version. In addition to traditional game play, Uno Disney (around $6) also includes a special 'Mickey Mouse rule' and customizable game play. Today's video game consoles offer impressive visuals and more enhanced game play options than ever before for a variety of ages. Although Disney does not currently make its own video games, it has partnered with other companies to give fans excellent games. The latest installment in the Kingdom Hearts series, Kingdom Hearts 3 (just under $60), is available for XBox One and Playstation 4. This popular mash-up of Disney and Final Fantasy characters is named by Business Insider as one of the biggest video game launches in recent years. Because the game does contain some fantasy violence, it has an E+10 rating, making it suitable for most Disney fans ten and up. This unique and interactive game lets kids of all ages experience the thrill of a Disney theme park right from there living room. Disneyland Adventures (about $20) is available for PC or XBox One and allows kids to create adventures through virtual a virtual Disneyland. Along with 35 characters and 18 attractions, the game features 100 quests. This nostalgic video game collections might just mean an afternoon of fun for parents and kids alike. The Disney Afternoon Collection (around $20; available for PC, Playstation 4 or XBox One) is a remake of several popular 90s-era Disney video games. Seek adventure with characters from DarkWing Duck, Rescue Rangers, TaleSpin and others. Disney has long been a beloved name when it comes to movies and entertainment, so it's no wonder there are many popular Disney games of different types. From board games for the whole family to the latest advances in video games, there is plenty to choose from for every Disney fan.